If you suspect your home may contain mold, it’s important that you act right away. Many people just ignore it and hope it’ll go away soon, but that’s not a good idea. Find out below why you should care whether mold is present in your home or place of business, and what you should do about it. Mold can pose serious dangers to your health. All forms of mold may negatively affect health, and certain ones release mycotoxins that are particularly dangerous to the health of children, the elderly, and anyone who is immunocompromised. Common health problems that result from exposure to mold include sinus problems, coughing, wheezing, eye and skin irritation, and various other immune responses. 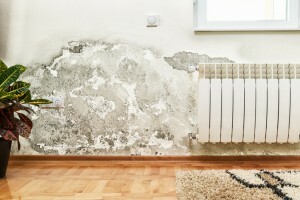 Identifying the type of mold in your property is best left up to the experts at H2 Environmental Consulting Services. Simply call us at (800) 524-3578 to request an appointment. We’ll come with state of the art sampling equipment to conclusively determine whether your property contains mold, and if it does, what type of mold is present. Then our mold experts will present you with the findings of our study of your property. We’ll also propose a customized remediation plan to ensure all mold and other environmental hazards are thoroughly removed from your property. We’ll remove the mold ASAP after detection. We want to make sure your family, employees, and anyone else who enters your building is able to breathe easily without fear of negative health affects as a result of mold exposure. We follow all safety procedures required by government laws, and securely dispose of all mold-contaminated items at state disposal facilities. When our company trucks pull out of your driveway, you’ll be able to start breathing more deeply and peacefully right away. You’ll be so glad you call Southern California’s mold experts at H2 Environmental Consulting Services. There are many companies that specialize in the removal of mold, lead, asbestos, and other environmental hazards in Southern California. You may be wondering, why should you choose H2 Environmental Consulting Services? Well, have the expertise and experience to masterfully take care of all your environmental hazard needs. We’ve been removing mold and other harmful materials from properties throughout Southern California for over 24 years, so your home or place of business is in excellent hands with H2 Environmental Consulting Services. We use the best tools and techniques to detect the presence of mold and conclusively determine which type of mold it is. One of our most often-repeated sayings is, “We help you breathe easier.” Let us help you breathe easier today. Simply give us a call at (800) 524-3578 and we’ll schedule a complete environmental evaluation of your property at your earliest convenience.